Availability: Typically Ships in 2-4 Business Days. This red cedar patio chair folds up easily, and even has a handle at the top to make carrying it around a breeze. Perfect for sporting events, picnics, camp outs, bbqs, and even fishing, you can grab a seat nearly anywhere. 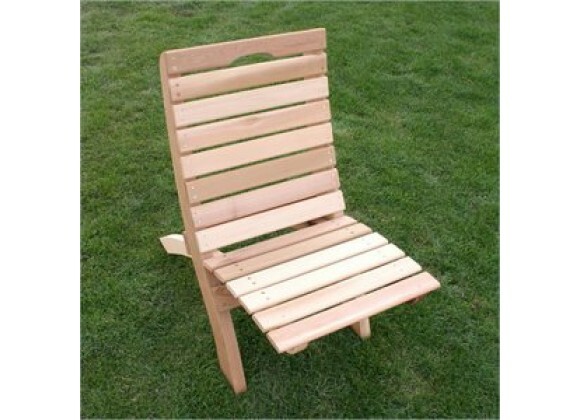 The rich western red cedar will look fantastic and last a lifetime, so you can love this chair for years to come.